You may use this section of our Yoga Directory to browse Yoga by country. You will find Yoga Teachers and Yoga Studios listed in the form of a tree structure. 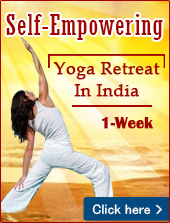 All Yoga Studios and Yoga Teachers have been listed as per HNYDirectory Rating. Once again, our simple aim is to provide a platform where Yoga seekers the world over can find Yoga at places of our choice. We are hopeful you will find this section useful. Please send us your feedback if you have any suggestions. Follow the links below to find yoga.